Skye Gravestones | Alexander & Katie (Maclennan) Macmillan. 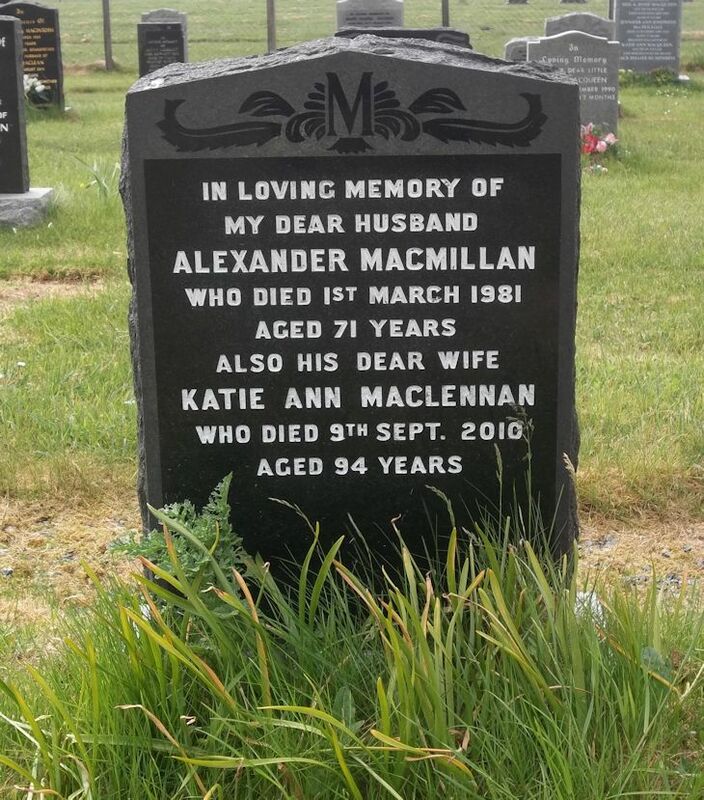 Alexander & Katie (Maclennan) Macmillan. In loving memory of/my dear husband/ALEXANDER MACMILLAN/who died 1st March 1981/aged 71 years/also his dear wife/KATIE ANN MACLENNAN/who died 9th Sept. 2010/aged 94 years.